Sunday and Monday are the busiest travel days of the year. 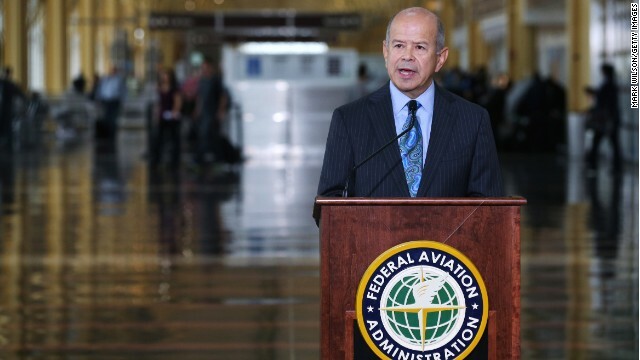 Michael Huerta is the head of the Federal Aviation Administration and he joins us with the outlook for your journey home. We’ll also ask him about the surge of near-collisions between drones and commercial aircraft, and the agency’s new “highways in the sky” program above Washington, D.C.
Black and blue. Building trust between law enforcement and the communities they serve with former NYPD Police commissioner Bernard Kerik; Malik Aziz, the Deputy Police Chief of Dallas and the Chairman of the National Black Police Association; Chief Thomas Manger, Vice President of the Police Executive Research Forum; and Chief James Craig from Detroit. Where does President Obama rank among his presidential peers? We bring together two presidential historians – Richard Norton Smith and Douglas Brinkley – along with veteran Washington reporters Karen Tumulty and Peter Baker. Watch State of the Union with Candy Crowley – Sunday at 9am and Noon ET on CNN.